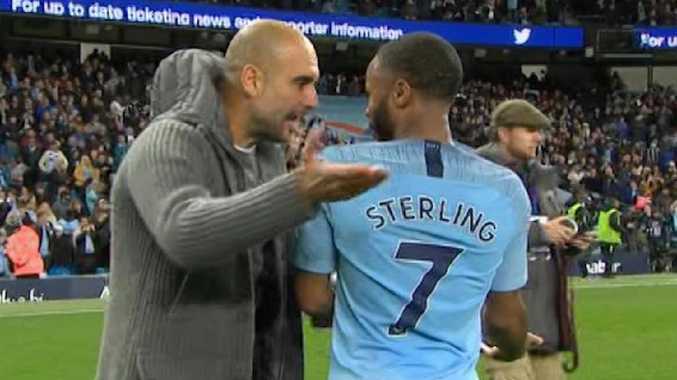 PEP Guardiola was involved in a heated exchange with Raheem Sterling after the Manchester derby victory as he appeared to scald his forward for showboating. 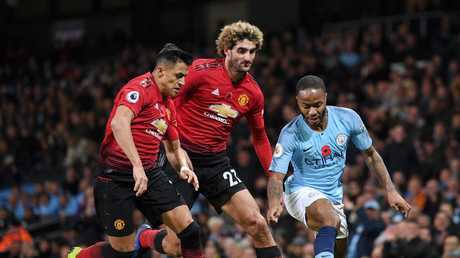 Sterling put in a fine performance as City eased to a 3-1 win over Jose Mourinho's United, but Guardiola headed for the England man at the final whistle. City's chief argued with Sterling on the pitch as Guardiola appeared to point towards the area where his player had been doing step overs. Sterling's manager was not the only one disappointed with the action - which was joined by cries of 'Ole' from the home support - as Juan Mata remonstrated with his rival, too. Afterwards, Guardiola explained he spoke with Sterling as "he made some movements with his legs that we could avoid". The City boss added: "He's young and will learn."